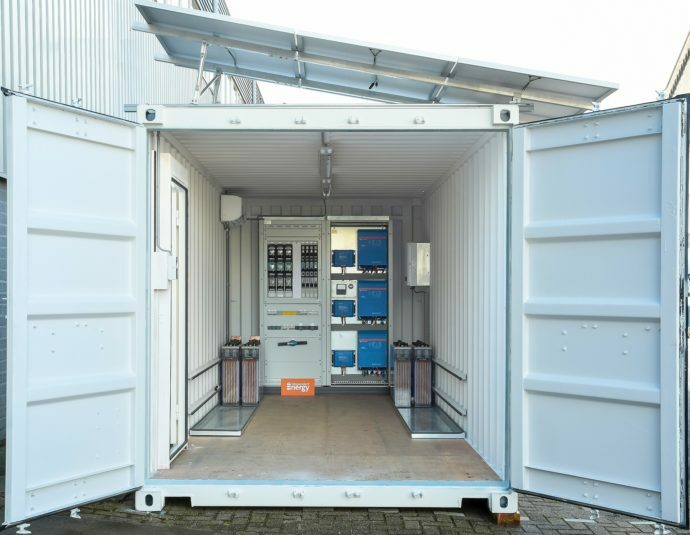 You may recall that Matthijs wrote a blog, late last year, about building an unattended battery based energy system – in essence a containerised energy system. The idea of that blog was to serve as a primer as to what makes for the best practices when building an unattended battery based energy system. Subsequently we also asked for your own examples and ideas for such systems, in order that we could add to this knowledge base. One such example we received was about a solar powered containerised system by ERM Energies. Now I’m pleased to say that Independent Energy B.V., from Haarlem in the Netherlands, have been kind enough to respond to our request too for examples of other containerised energy systems. Here is what Symon Miedema from Independent Energy had to say about their potentially life saving system, shown in the headline image above. The medical centre was founded by the Lion Heart Foundation and commenced construction in 2010, completing the initial construction phase in 2011. The Foundation’s aim is to offer good quality and affordable healthcare to the people of Yele and its surrounding areas. Yele is located in the Gbonkolenken Chiefdom in the Tonkolili District of Sierra Leone. The aim of the Lion Heart Foundation in the coming years is to guide the centre towards sustainability and for it to become self supporting, in order to eventually hand it over to locally based management. 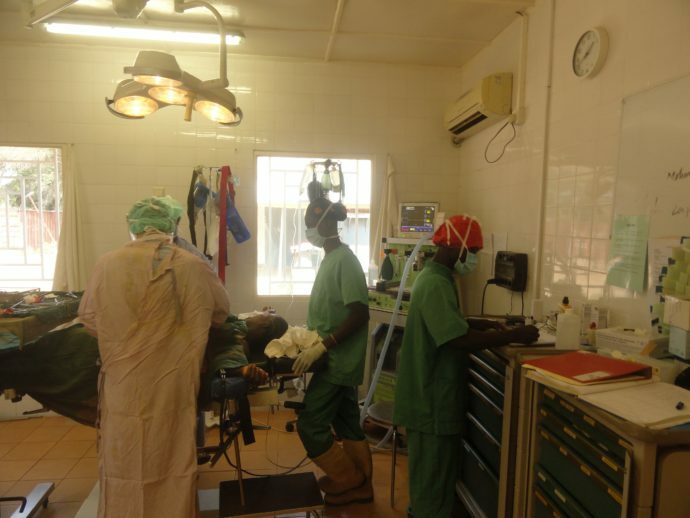 The hospital part was implemented in 2012 with the construction of a ward, an operating room and a separate X-ray department and in 2013 a large maternity ward was added. The hospital now has four buildings, the first being the clinic, two examination rooms, a small laboratory, operating room, recovery room and pharmacy. The second building consists of a ward (32 beds) and an X-ray facility with the third building housing the maternity ward, lastly there is a building for the storage of medicines. In 2016 the construction of a permanent isolation ward was started. This obviously all requires a lot of energy and clearly with an unreliable grid and a manually started backup generator – this is far from ideal if an operation is in progress! Realising the critical need for reliable energy, the Lion Heart Hospital approached Independent Energy in Holland for help. Independent Energy’s focus is on off-grid and solar backup projects. As they are a wholesaler and system integrator they design and manufacture in-house. Utilising integrated PV panels on top of the container and a special insulation coating along with an air conditioning unit inside the container – the batteries and equipment are all kept at the correct temperature, which ensures a long lifetime for the system. To deal efficiently with the higher load during the daytime an AC connected SolarEdge Technologies Inc inverter was also installed. 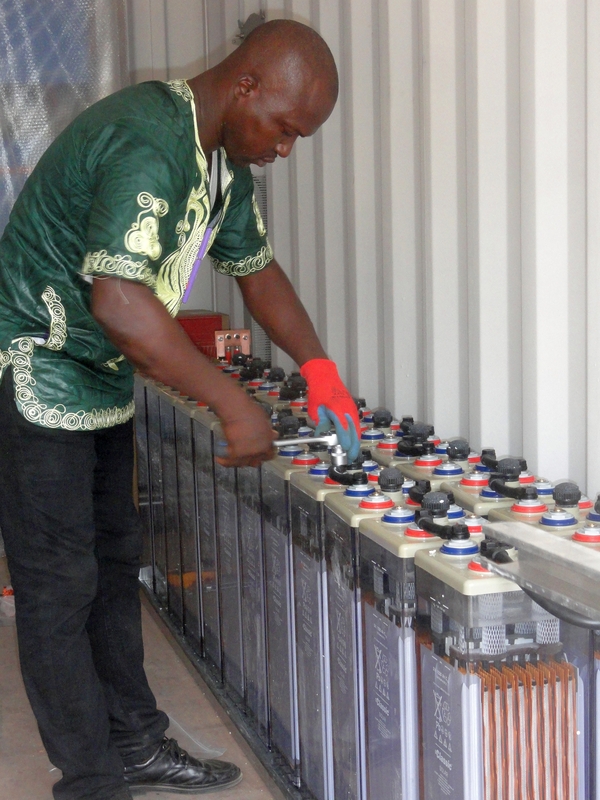 Upon completion and testing of the system in the Netherlands, all batteries, PV and mounting materials were loaded inside the container and shipped to Sierra Leone. 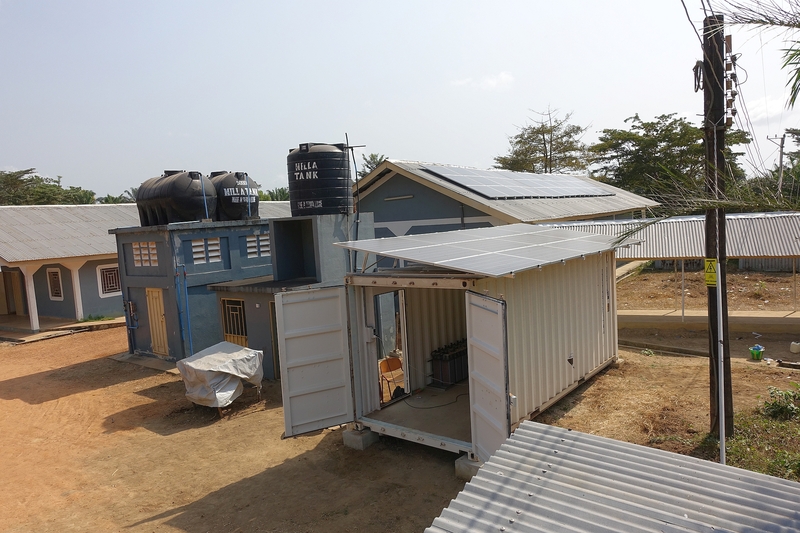 Upon completion the Independent Energy technical team followed the container and several weeks later installed the PV panels and connected the energy container to the hospital grid. Since completing the installation of the system, the hospital is now fully self-supported with 24/7 power, reducing the risk to life when compared to the dangers of the power outages of the past. Power cuts and medical equipment stoppages during an operation are now a thing of the past – life saving energy indeed. Additionally Independent Energy remotely monitors the system using the free Victron Remote Management (VRM) system. If needed they can then advise the hospital technical team on how best to keep the system running optimally. 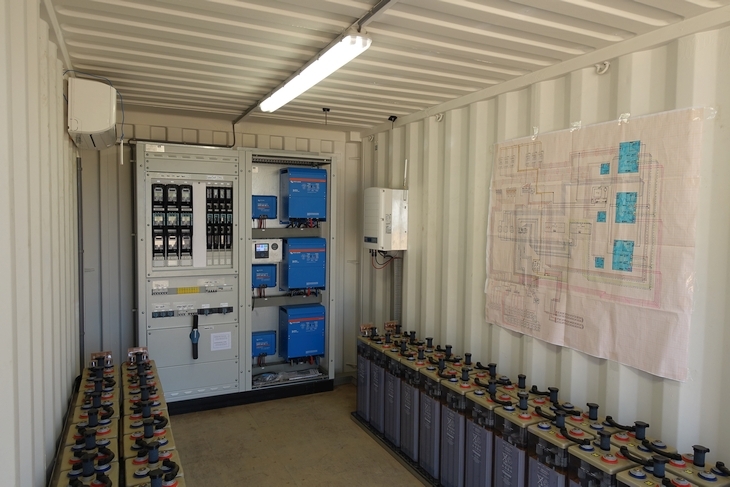 If you have any tips or comments on building your own containerised system, along with a heart warming story and some photographs – similar to that provided by Symon Miedema of Independent Energy in this blog – do let us know.